…I was really surprised and checked the articles’ references immediately. We revised the article and resubmitted again to the same journal in 2007. The reviewing process had completed and finally the article was accepted in 2009…Even [though] we paid the fee of the journal, we were told that due to having large number of papers in the queue, the paper would take time to be published. The article was finally published in 2011. When Intelligent Automation & Soft Computing alerted him to the problem with the paper, Sağıroğlu said he explained why the paper didn’t include a reference to the 2009 paper, and agreed with the journal’s suggestion to publish a correction. But, while waiting for the corrigendum to be issued, a query from a reader prompted the journal to ask Sağıroğlu for details about some of the paper’s figures, according to Sağıroğlu. Ultimately, the journal decided to retract the paper, against Sağıroğlu’s wishes. no further comment to make over and above the retraction notice. which was not cited nor otherwise acknowledged. We would like to highlight that the corresponding author has been fully cooperative in this process. We note the Editors and the (then) publishers of the Journal, TSI® Press, accepted and published the article in good faith. The 2011 study, “An Intelligent and Automatic Face Shape Prediction System From Fingerprints,” has yet to be cited, according to Clarivate Analytics’ Web of Science, formerly part of Thomson Reuters. 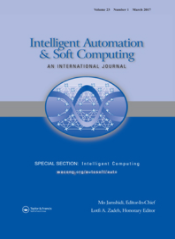 The 2009 paper in the Turkish Journal of Electrical Engineering & Computer Science, “An intelligent face features generation system from fingerprints,” has been cited twice — once by another paper by the same authors on face recognition from fingerprints. Next Next post: Welcome to the Journal of Alternative Facts. They’re the greatest! And winning!